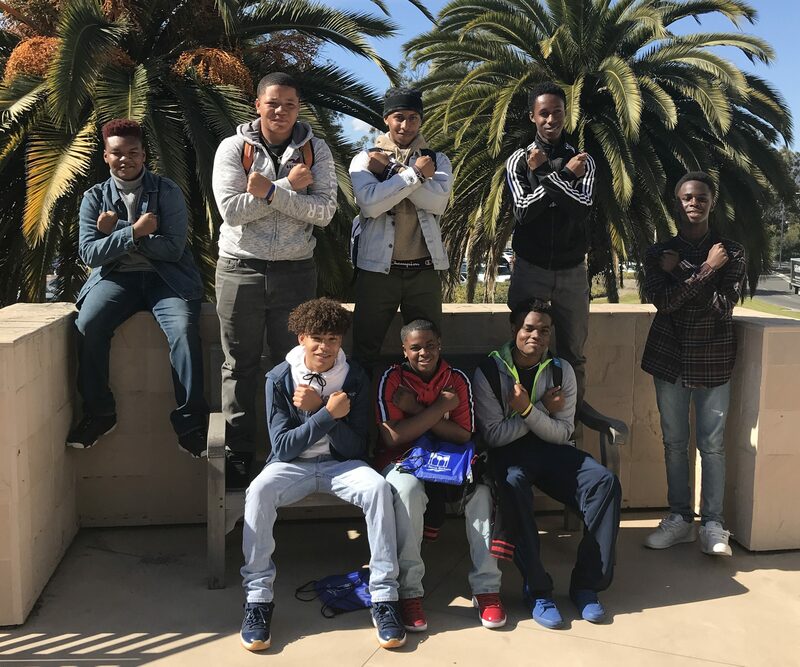 Carson High School’s Young Black Scholars and Black Student Union have teamed up to give an inside experience on a day in the life of Carson juniors and seniors. Students of the BSU of Albuquerque High School in New Mexico came to shadow Carson students on March 13 during their spring break visiting periods 2 and 4. CHS aims to serve the people with cultural, education, and social initiatives in order to build leaders, unity and contribute to student success. This is what volunteers wanted the New Mexico students to see. Visiting students noticed several differences between their home schools and CHS. “We are not as academically inclined as California, and we have to take New Mexico history class to graduate high school,” said junior Kamryn Johnson from Albuquerque. Albuquerque senior Lenae Austin mentioned the different activities to do and places in California, as well as the differences between her school and Carson. Students also gave insight into life in New Mexico including the challenges that many minority students face. “The social life in Albuquerque is okay, but there is not a lot to do besides going to the mall, hanging with friends or staying at home. The crime rate is top five in the U.S., so the police are very strict and sometimes hateful towards us,” said Albuquerque senior Manuel Marquez. CHS students enjoyed sharing their lives with students from another part of the country. The opportunity taught them about themselves and others. “Shadowing was actually cool [because of] experiencing new stuff about people from Albuquerque and talking about the things they have there,” Ryan Richardson, a senior at Carson High School said. Ms. Cave, the organizer of the shared experience, worked hard to make sure that all students and staff involved had an enjoyable and memorable experience. Young Black Scholars and the BSU would like to thank Albuquerque High School for participating.